AS OF 3PM ON 30/01/09 ABBEY FM IS CLOSED. UNFORTUNATELY THE REVENUES GENERATED FROM ADVERTISERS WERE NOT ENOUGH TO SUSTAIN THE BUSINESS AS A VIABLE ENTITY. LET NOBODY TELL YOU ANY DIFFERENT THAT IS THE ONLY REASON. 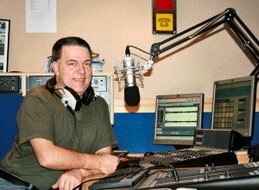 THIS WILL MEAN THERE WILL NEVER AGAIN BE A RADIO STATION FOR FURNESS IN FURNESS. FROM THE PRESENTERS A BIG THANKS TO ALL THEIR LOYAL LISTENERS. Im gutted that abbey FM has closed. It was a great station. I would like to say thanks to Bill especially for the opportunities he gave our band reeltime to get our music heard. Thanks Bill and goodbye Abbey FM! I have always been curious about functionality in websites and, well, the world in general. I read this article with great interest. It does seem to me that the reason we comment is to speak our minds so why not have the comment field first? However, as others have pointed out, one gets used to the conventions regardless of reason.